Mass Athlete Performance M.A.P. College Prospect Elite ID Camp (affiliated with Needham Soccer Club in Massachusetts) is a summer identification camp for all high school soccer players that seek to play in college. Eligible players include those who will be enrolled as high school freshman, sophomores, juniors or seniors in the fall. 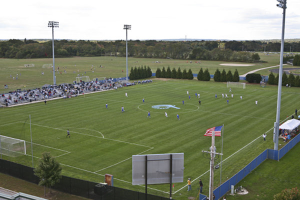 Each camp will take place at the University of Rhode Island Complex, a grass facility. Each M.A.P. ID Camp is expected to have 60-90 players with approximately 10 college coaches instructing. Field players and goalkeepers will work directly with Coaches from top Schools to experience the daily training environment of Collegiate Programs. All Coaches will see every player between training sessions and games. The camp will consist of on field technical training, small sided and large sided games, as well as proper conditioning and injury prevention. Players get to experience the same tactical and technical training sessions the College Coaches provide to their own team . Players will also be given an evening lecture regarding the recruiting process with both academic and athletic components. Players receive a detailed verbal evaluation from the college coach with data on strengths, weaknesses and will recommended collegiate level of play. Girls Director: Ashley Phillips will be directing the girls camp for M.A.P. 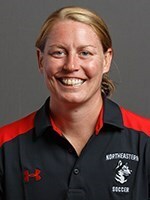 She is the fourth head coach in Northeastern women’s soccer history. Phillips is involved in all aspects of the Northeastern program such as recruiting, training, scouting. Boys Director: Conrad Whyte will be directing the boys camp for M.A.P. 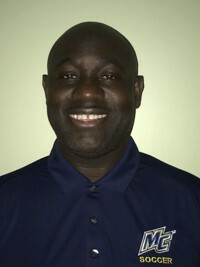 Whyte is assistant coach at Merrimack College. He has 20+ years of high-level playing and coaching experience. 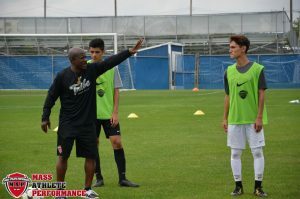 Whyte holds a USSF A and B Coaching License, as well as a USSF National Youth License and a NSCAA Director of coaching diploma. He currently serves as the Director of Coaching at America FC United in Quincy, Mass. 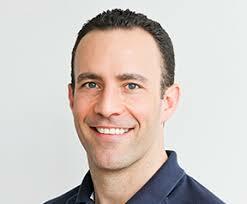 Company Owners: Dan Brownridge played Division I soccer for the University of Rhode Island. He holds a US Soccer D license for coaching and is an assistant coach with the Needham High Men’s Soccer Team. Needham Soccer Club Director of Travel Soccer. Lee Popper was the 4 Year Starting Goal Keeper at Union College. He has his US Youth Soccer National Youth Licence and is a Soccer Plus Instructor. He currently is the Needham Soccer Club Director of Player & Coach Development. MAP focuses on the overall development of athletes. MAP improves performance through camps, clinics, and training sessions. MAP also helps create healthier athletes through nutritional counseling and lectures, injury risk assessment, injury prevention, strength and conditioning sessions. Mass Athlete Performance was formed with the vision, to allow teams the ability to focus on improving players skills, technique and tactics.